Mealaibh an naidheachd air Pòl agus Paddy. Rinn iadsan sguad na h-Alba airson Iomain Cholmcille 8 ann an Gaoth Dobhair Disathairne 10mh An Damhair. ‘S e Eòghan a tha anns a’ mhanaidsear a-rithist agus bidh esan a’ cluich cuideachd. Congratulations to Paul Duke and Paddy Sinclair, they have been selected for the Alba squad for Iomain Cholmcille 8 in Gweedore on Saturday 10th October. Eòghan is the manager again and he will also be taking a playing role. Tha Alba, Sgioba Iomain na Gàidhlig air sguad nam fear ainmeachadh airson Iomain Cholmcille 8 ann an Gaoth Dobhair Disathairne 10 An Damhair. Is e Iomain Cholmcille fear dhe na tachartasan spòrs as sònraichte san t-saoghal, far am feum Gàidhlig na h-Alba no na h-Èireann a bhith aig a h-uile cluicheadair agus a bhith ga chur gu feum air a’ phàirc agus far na pàirce cuideachd. 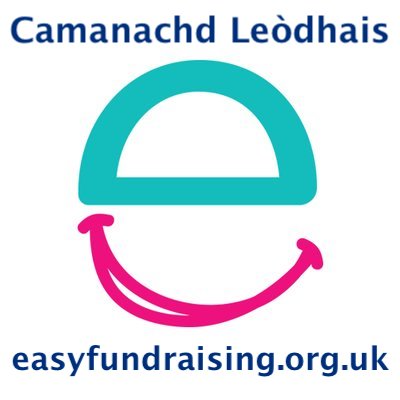 Tha e a’ tilleadh a dh’Èirinn as dèidh a bhith ga chumail gu soirbheachail ann an Glaschu an-uiridh ach airson a’ chiad uair, bidh e ga chumail ann an Conntae Dhùn nan Gall, air neo Tìr Chonnaill anns an sgire Ghaeltacht, Gaoth Dobhair. Tha Eòghan Stiùbhart a’ tilleadh gu dreuchd mar mhanaidsear na sgioba agus mar chluicheadair às dèidh do Aonghas MacDhòmhnaill a dhèanamh an-uiridh cho fad ’s gun robh Eòghan a’ ruith chùisean far na pàirce. Tha e toilichte a bhith air ais ann an dreuchd-cluich a-rithist agus e làn mholadh dhan sguad aige. Chaill Alba an cuach aig an taigh ann an Glaschu an-uiridh agus bidh dùbhlan mòr romhpa thall ann an Èirinn le Fir Uladh agus Cumann Micheal Breathnach a’ feitheamh orra. Airson a’ chiad uair, bidh farpais dha na boireannaich ann, agus bidh co-mhanaidsearan na h-Alba, Catrìona Gibb agus Ciorstaidh NicLeòid ag ainmeachadh an sgioba anns an ath dà latha. Tha sgioba nam Ban a’ faighinn taic-airgid o McIntyre & Co, luchd-lagha anns a’ Ghearasdan. Tha Iomain Cholmcille a’ faighinn taic o Cholmcille, am buidheann eadar-nàiseanta airson ceanglaichean eadar Gàidheil na h-Alba is na h-Èireann a neartachadh is a leasachadh. Alba, the Gaelic Shinty Team has named their men’s squad for Iomain Cholmcille 8 in Gweedore on Saturday 10th October. Iomain Cholmcille is one of the World’s unique sporting events, where every player must have either Scottish or Irish Gaelic and is required to use it on and off the park. It returns to Ireland after a successful running in Glasgow last year but for the first time it will be held in the county of Donegal, also known as Tir Chonnaill, in the Gaeltacht area of Gweedore. Eòghan Stewart returns as manager of the suqad (and in a playing capacity) after Nui Macdonald taking the reins last year whilst Eòghan co-ordinated the event. He is happy to be back in a playing role but had fulsome praise for his squad. Alba were defeated in their quest for the Còrn Cholmcille last year in Glasgow and they face a strong challenge over in Ireland in the form of Fir Uladh, the current holders and Cumann Micheal Breathnach. For the first time, there will be a ladies competition and Alba co-managers, Catriona Gibb and Kirstie Macleod will be naming their squad in the coming days. The ladies team have received sponsorship from McIntyre & Co, Solicitors in Fort William. Iomain Cholmcille receives support from Colmcille, the international body for developing and strengthening links between Gaelic speakers in Scotland and Ireland. 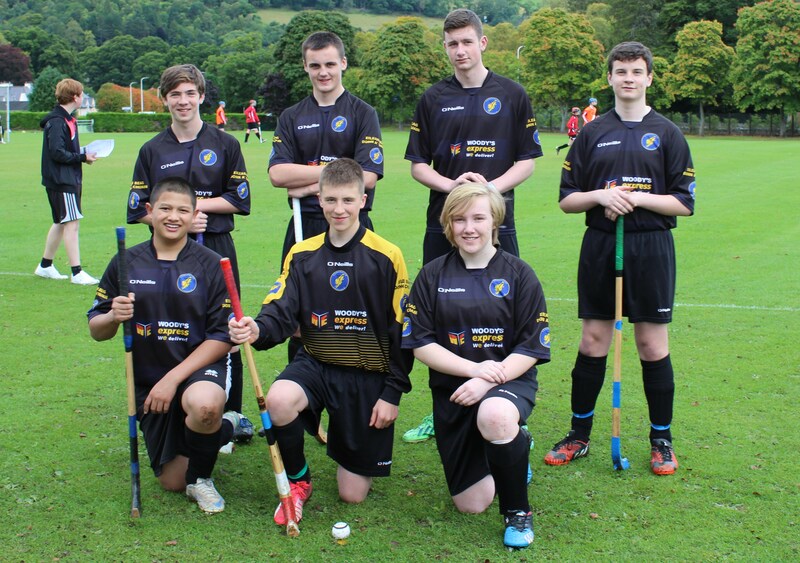 The Nicolson Institute under 16 Shinty team took part for the first time in The Great Glen Shinty Sixes at Drumnadrochit this Tuesday. Ten teams from various schools in the Highlands took part and they formed two leagues of five teams with the top two teams going on to contest for a place in the final. The Nicolson took on Kilchuimen High School from Fort Augustus first. They were putting some good moves together but were hit by two late goals and went down 2-0. Their second match was against Kingussie A who were to eventually win third place in the tournament.Kings played some fine shinty and The Nicolson’s defence was no match for them as they succumbed 7-0 . Coach Iain “ Diablo” Sinclair then regaled the team with one of his inspirational team talks urging his troops to show the true potential he knew they had. Radical line up changes saw Anil Thapa in goals and Anna MacRae and Scott MacLeod take on defensive duties.Ronan Sinclair went to Full Centre and Captain Ruaraidh MacMillan went up front with Steven Morrison who interchanged with substitute Aidan Millar. 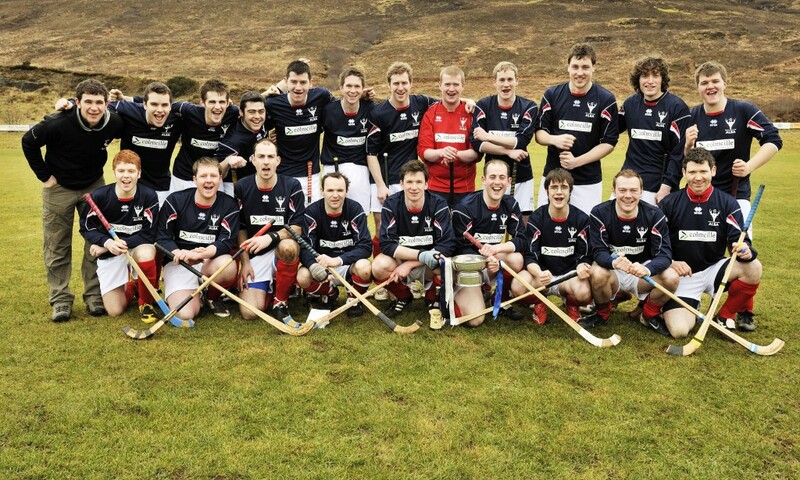 Next opponents were Glenurquhart B who promptly took a 2 goal lead.However as the famous Lewis Camanachd Shinty song goes,”Things began to changy Oh…” and The Nicolson team began to gel. Coach Sinclair urged Scott MacLeod to carry the ball upfield and he launch a screamer from halfway which nearly burst the net.Minutes later Ruaraidh Macmillan finished off a nice move involving Scott MacLeod and Ronan Sinclair to equalise the scores. The Nicolson had achieved their first points at the tournament. Coaches Iain “Diablo” Sinclair and John Nally urged the players to keep up their good form and go home with a win. They promptly obliged with a fine performance against Charleston High A from Inverness. The defence of Thapa, MacRae and MacLeod stood solid and Scott MacLeod’s fine bye hits provided the forwards with plenty ball. Ruaraidh MacMillan’s clinical finishing gave The Nicolson a well deserved 2-0 victory. Aidan Millar and Ronan Sinclair were unlucky not to add to the total. The Nicolson finished 3rd in their group of 5 teams a great performance for a first outing at the tournament which was celebrating it’s twentieth anniversary. In the final a strong Lochaber High team won the final against Glenurquhart A 1-0 after extra time. Kingussie A were third with Kilchuimen High taking fourth spot in the 3rd and 4th place play off. Thanks must go also to Melissa Chalmers for accompanying the group and taking photos and helping on the sidelines. Anil Thapa, Scott MacLeod, Anna MacRae, Ronan Sinclair, Ruaraidh MacMillan(Captain), Steven Morrison and Aidan Millar. 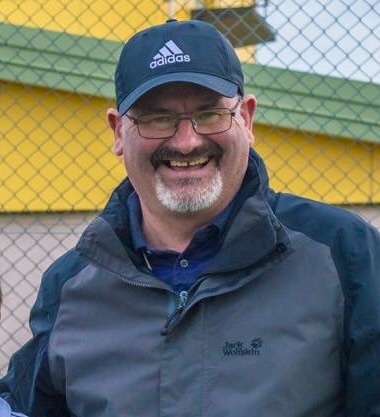 Camanachd Leòdhais manager Iain “Diablo” Sinclair has announced that he is to step down from the position after three seasons. Iain took on the role in 2013 from Paul Duke. In that time he has presided over an era of expansion and development of the first team which has seen several good results and the club establish itself as a respected and competitive side. Not coming from a shinty background, Iain has had to learn many things on the job and has approached his challenges with enthusiasm and optimism. He had already been a valued member of the backroom staff and a committee member before making the transition to management, after some experience as youth coach. In 2013 a final day draw at Inverness was required to avoid bottom spot in a highly competitive North Division Three. However, in 2014 Iain would guide his side to second place in North Division Three and be awarded the Marine Harvest ND3 Coach of the Year award. He signs off with the club having secured at least eighth in a highly competitive North Division Two and with three HebCelt Cups in a row to his credit as well. His eldest son Paddy is an important first team player for Leòdhas and Glasgow University and his youngest son Ronan is a promising young defender. Even his long suffering wife Trish has been involved, preparing meals and helping out with various other duties. The team, committee and fans would all like to thank Iain for his contribution to the club over the last three years, before that and into the future. There will be many songs in Gaelic and English sung by you for many years to come and we indeed look forward to your future contributions to our great sport in the Hebrides. Mile taing Iain, a h-uile beannachd gach là a chì is nach fhaic! Glè mhath were the boys…!!! The club will seek to appoint a new management team at the AGM. Apologies to our long suffering fans, after the blood and guts and general excitement of the Boleskine game, we’ve been unable to offer any entertainment at Shawbost due to Lochaber and Kilmallie being unable to travel. Being a club founded to ensure shinty play on the islands, the points being granted are little consolation. The Club Committee are in communication with the Camanachd Association in order to seek ways in which to reduce the likelihood of call offs next season. Hopefully, Aberdeen University will be over to us on the 19th September in order to let us say goodbye to Shawbost for the winter properly. The lads face their last away trip of the season and the last epic overnighter as well when they face Lochaber at Spean Bridge this Saturday. Throw-up will be at 2.30pm and will be reffed by Martin MacLean. “Lochabershinty” by Source. Licensed under Wikipedia. Here’s a bit fo info about shinty in Drochaid Ruaidh – Roy Bridge.